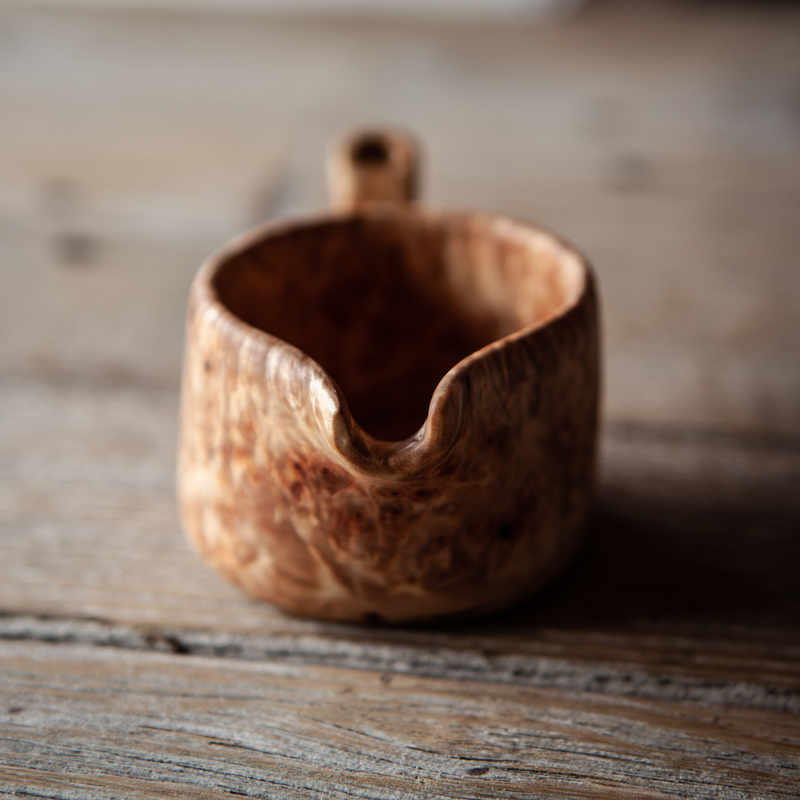 This jug is made from the distinctive and rare ‘Burl’ or ‘Burr’ growth on silver birch. 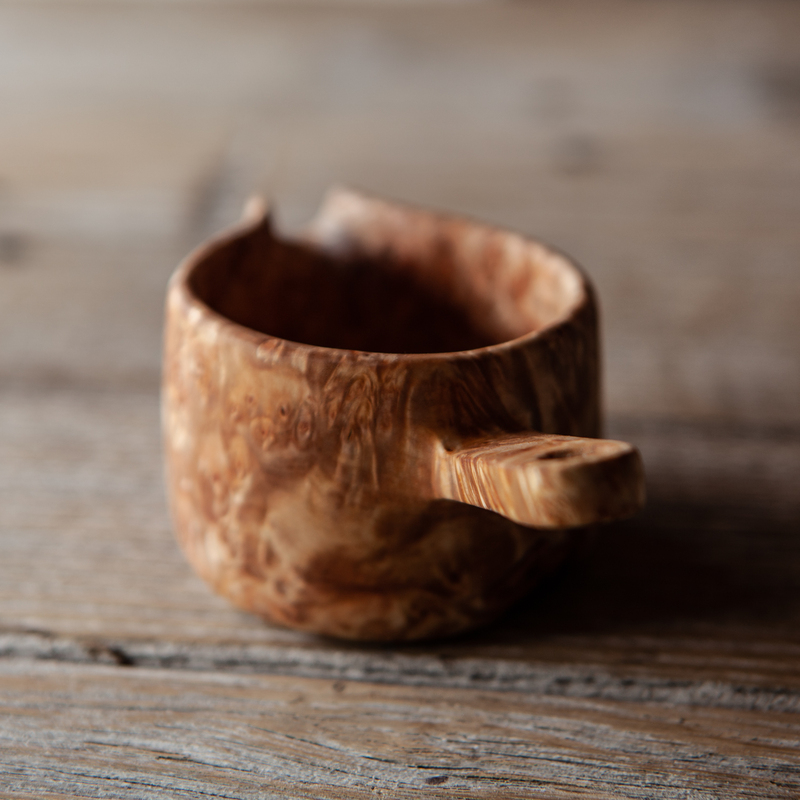 The swirl of grain through the burl make for a unique look and very strong structure. 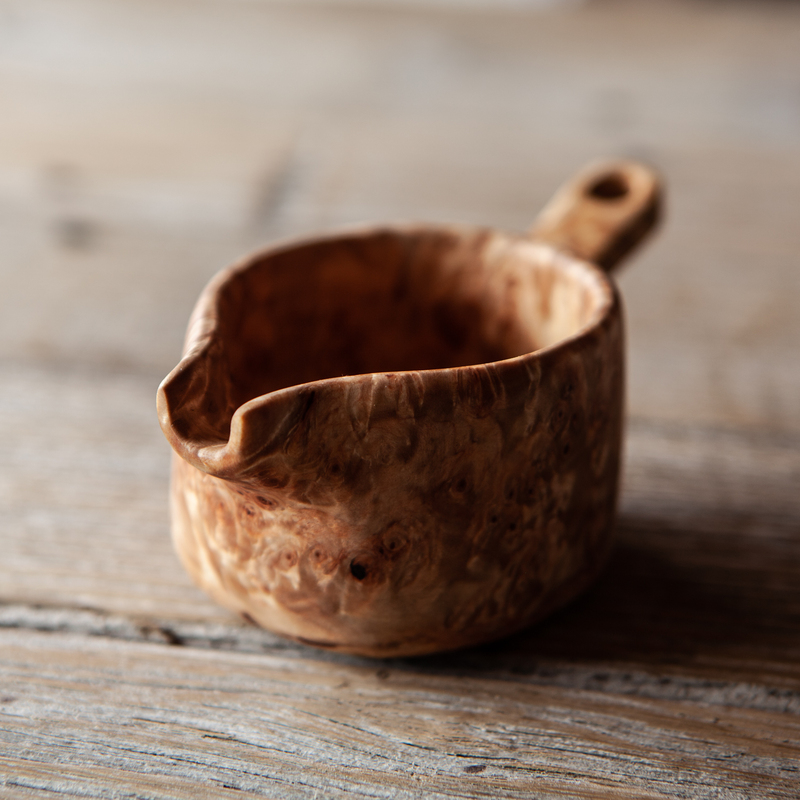 This can be used as a small kuksa (cub) in wild areas where the water is clean enough to drink from source, as a whisky cup and of course for pouring. 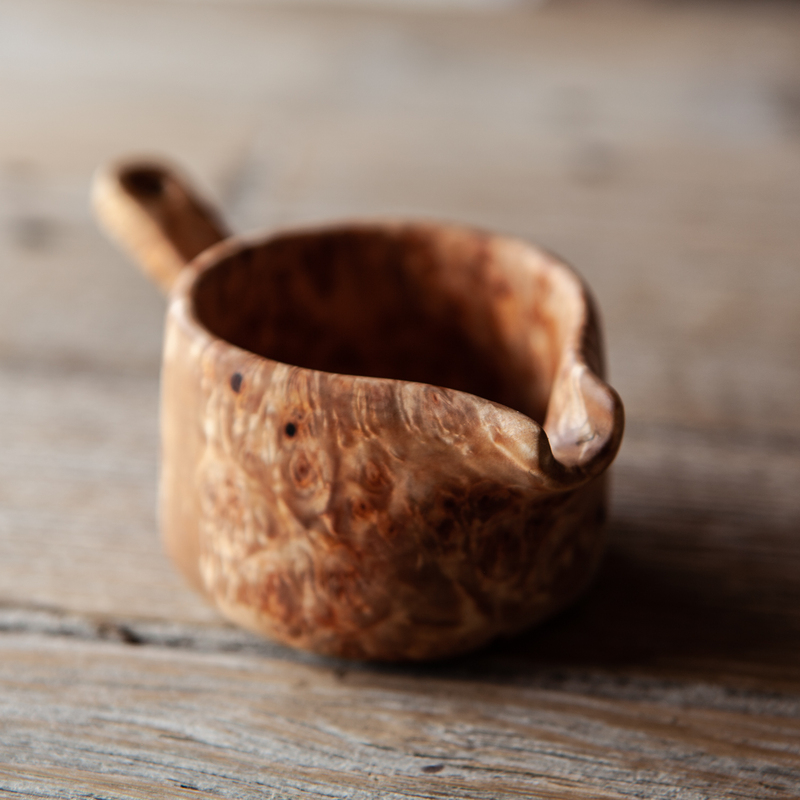 Size: 7cm diameter, 13cm total length, 5cm height. 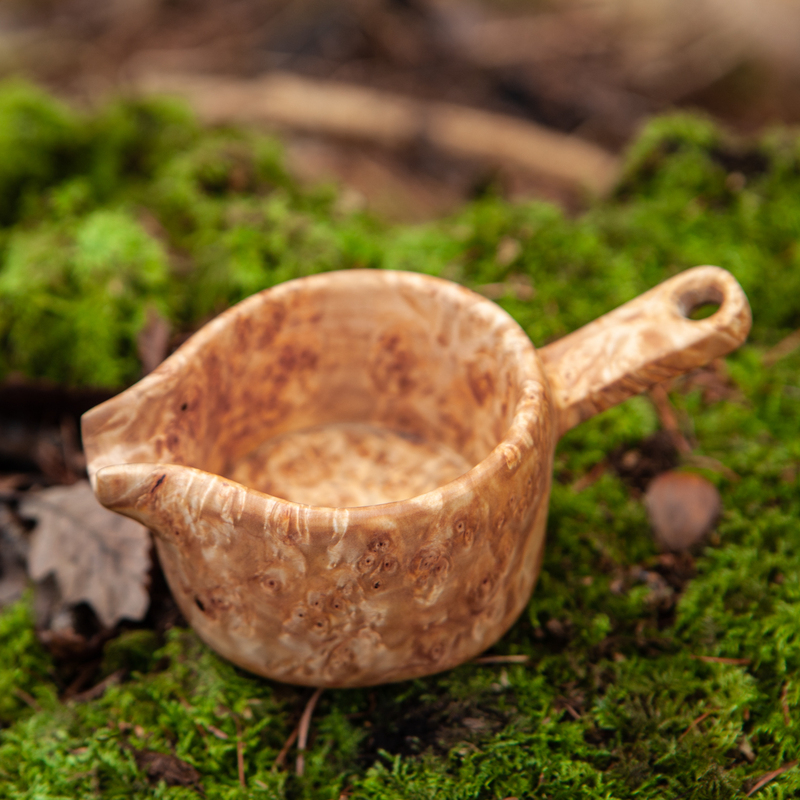 This can be used as a small kuksa (cup) in wild areas where the water is clean enough to drink from source, as a whisky cup and of course for pouring anything.